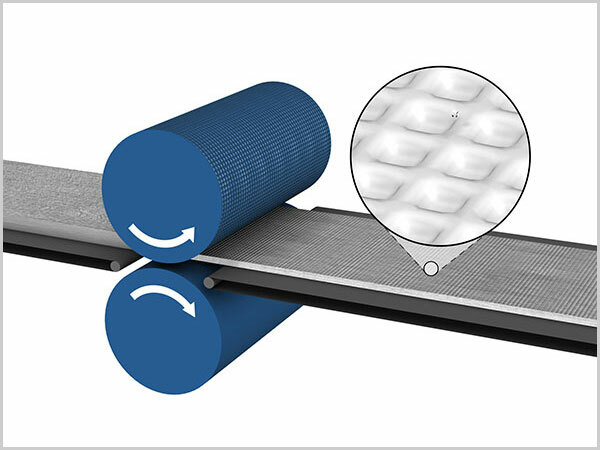 Bonding plays an important role when manufacturing nonwovens: the loose cohesion of the fibers is treated -in one or more steps- to form a more solid type of web, the nonwoven. Generally speaking we distinguish between three different technologies, thermal, chemical and mechanical. The selection of the bonding technology is decisive for the features and the applications of the nonwoven. 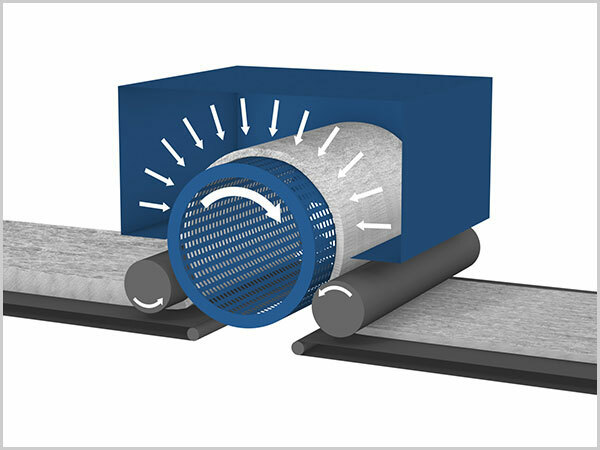 Two or more calender rolls, through which the nonwoven is fed, are heated with oil or electrically to a defined surface temperature. As a result of the pressure between the rolls thin, well-bonded nonwovens are formed. The upper roll is generally embossed. Welding surface and geometry affect the mechanical strength and softness of the nonwoven fabric. In this process, the starting material is solidified without pressure in a drum dryer or a band dryer using hot air. The result is more bulky, voluminous nonwovens. In chemical bonding, binders are applied to the unbonded web. These latex binders, which have been in use since the dawn of the modern nonwovens industry, form a colloidal system in which a polymer of high molecular weight is dispersed in water. The binder can be applied to the unbounded web using different technologies, including impregnation in a foulard, spray bonding, by kiss roll application or via binder print. Specific quality features such as hydrophilic, hydrophobic, flame-retardant and abrasion resistant are achieved through special binder agents or additives. 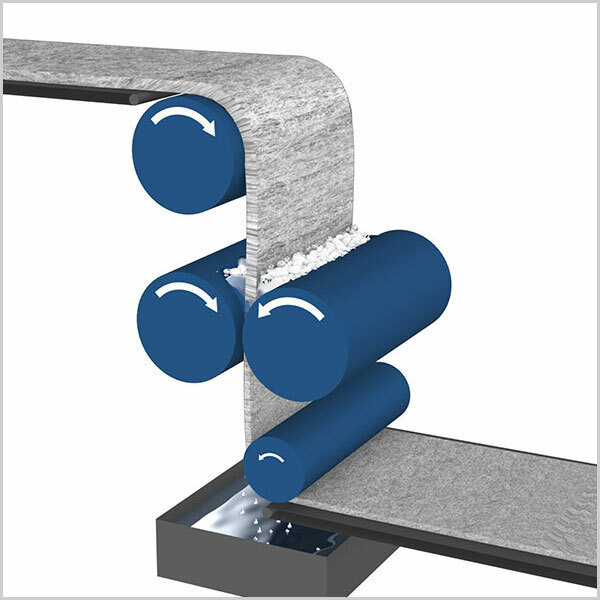 After application of the binder, different dryer systems (drum, can or band dryers) are used to evaporate the water and consolidate the web. In a few specific applications, solvent bonding is required. In the needle punching process, barbed needles are vertically punched through the unbonded web. The fibers are partially rearranged into the third dimension and entangled. 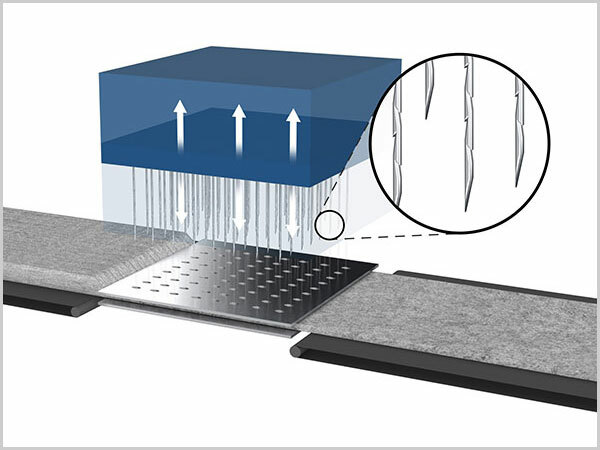 Fixed on a needle board, the needles pierce and exit the unbonded web, which is fixed between two perforated plates. Product quality is defined by the geometry of the needles, needle density, the geometry of needle assembly in the needle board and process parameters such as penetration depth and the number of stitches per m2. Fabric weights achieved by needling usually exceed 50g/m2. Because the needles remain in the web for a certain time, line speed is slow. In this process, fibers or filaments (Evolon® technology) are reoriented in all three dimensions and entangled by high-pressure water jets. The jet diameter is usually 0.1 mm. The distance between two holes in the nozzle strip is 0.6 mm. 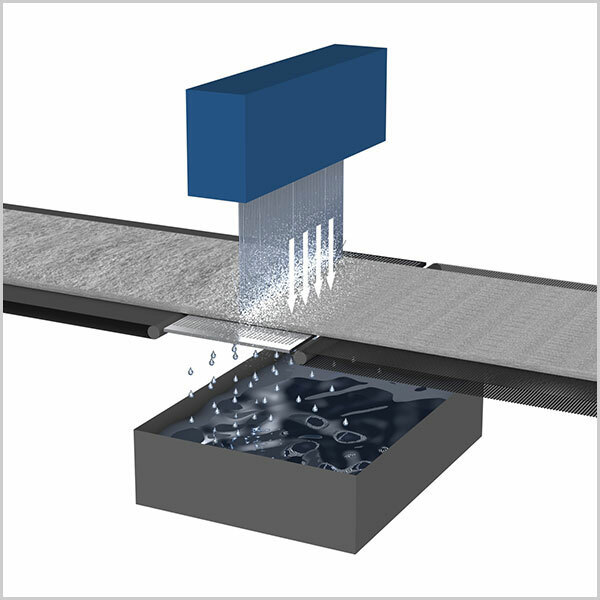 In this process, assemblies are used with single or double row nozzle holes. Below the unbonded web is a forming wire, through which the process water passes. This “sieve” simultaneously increases the efficiency of turbulence and bonding by partially reflecting the water jets. The process water is filtered and recycled. Residual water content in the fleece is removed by suction and dried. Energy demand for this bonding process is high, as is the cost of investment in high-pressure pumps, jet manifolds and in water filtration and drying components. The result is a high degree of bonding. The textile properties of the nonwoven fabric, such as softness, are comparable to those of conventionally produced textiles (wovens). Fabric weights are between 20 and 200 g/m2. Depending on the fabric weight, line speeds of up to 300 m/min can be achieved.